Family and friends may call at the Amos Carvelli Funeral Home, 201 Edison Street, Nutter Fort, on Friday, from 4:00 p.m. to 8:00 p.m.
A Mass of Christian Burial will be celebrated at Immaculate Conception Catholic Church, in Clarksburg, on Saturday, April 13, 2019 at 10:00 a.m. with Father Casey Mahone as Celebrant. Interment will follow in the Bridgeport Cemetery. 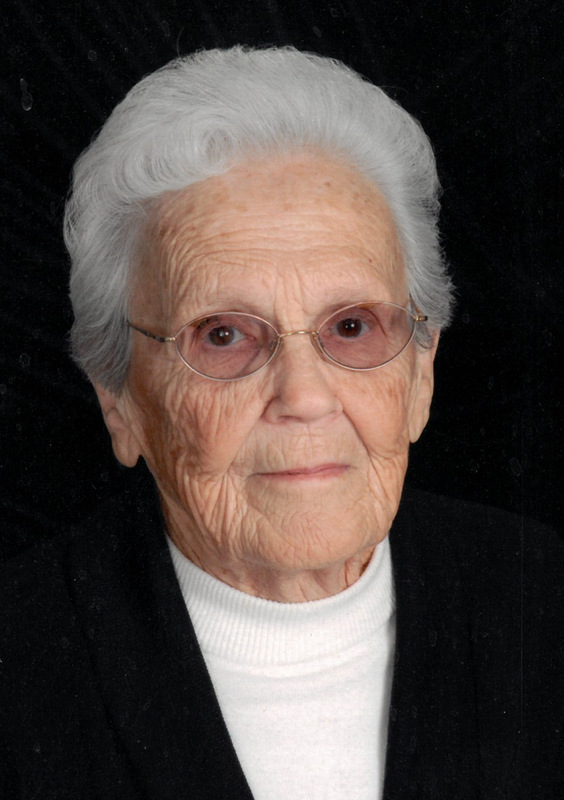 Martha Lou Wanstreet, 96, passed from this life at her Clarksburg home on Wednesday, April 10, 2019. Her husband, William H. Wanstreet, Jr., whom she married on June 2, 1943, preceded her in death in 1990. Martha was born on April 20, 1922 near Philippi, WV, a daughter of Dellet and Grace Proudfoot. Surviving are two sons, Mark A. Wanstreet and wife Ann D. Wanstreet, Clarksburg; David Wanstreet, Coconut Creek, FL; one grandson, Tyler D. Wanstreet and wife Rebecca H. Wanstreet, Clarksburg; one granddaughter, Kerry A. Musgrave and husband Preston Musgrave, Ewa Beach, HI; one great-grandson, Jack T. Wanstreet, Clarksburg; and several nieces and nephews. Martha was preceded in death by two sisters, Ruby P. Swick and Naomi P. Haddix, and by five brothers, I. Wayne, Glen B., L. Dow, Dellet Jr., and Thomas L. Proudfoot. Martha was a member of the Immaculate Conception Church, Clarksburg. She was a graduate of WV Business College and worked for several years for the Social Security Administration. She was a member of the Junior Women’s Club and the Chestnut Hills Garden Club. The family would like to thank the wonderful caregivers for two years of loving care, Amedysis Hospice for their services, and the team of Eucharistic ministers from the Immaculate Conception Parish for their home visitations.